Have you recently purchased your dream motorcycle and need to ship it overseas? 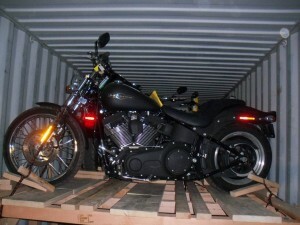 Or are you moving to another country and want to ship your motorcycle to your new location? Below are some preparation tips for shipping your motorcycle overseas in a safe manner as well as the recommended loading procedures. First, determine how you want to ship your motorcycle. What method suits your needs most? Airfreight or by ocean? The time frame with which you expect to have your bike at its final destination will determine which method you use. Air freight is much quicker but more expensive. Ocean can take weeks but is the most economical way to ship your bike internationally. This all depends on the distance, budget and the delivery time. If the bike is in running condition, check fluids, battery, tire pressure. Loading is an extremely important part of any shipment. 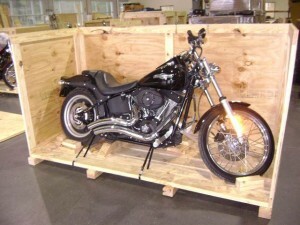 Make sure the international motorcycle shipping company you decide to ship with follows these guidelines. 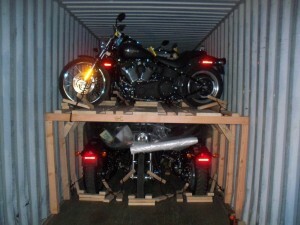 If you follow these preparation tips, your motorcycle shipping process will be much more effective. Use this checklist and contact one of our motorcycle shipping consultants for your more information or fill in the quote form for a free estimate!